My plastic trashcan is currently located under my sink. It’s a dull grey and is equipped with a swinging lid. It’s accented with food remnants, which have been squished onto the lid as I hastily attempt to throw away any rubbish my dog might go after. It smells. And, just like I “forget” to empty the dishwasher, I conveniently forget about the bin until my husband takes it out (although he similarly forgets to replace the bag). 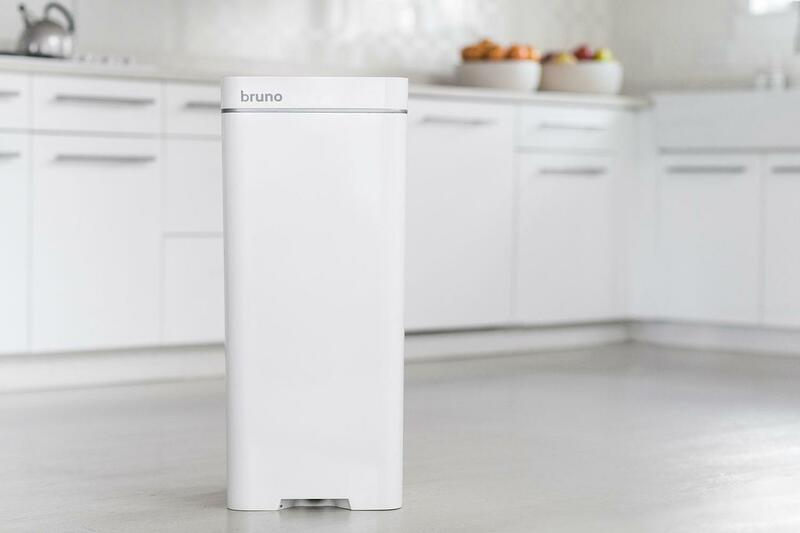 Fitted with Wi-Fi, Bruno is the world’s first smart trashcan. 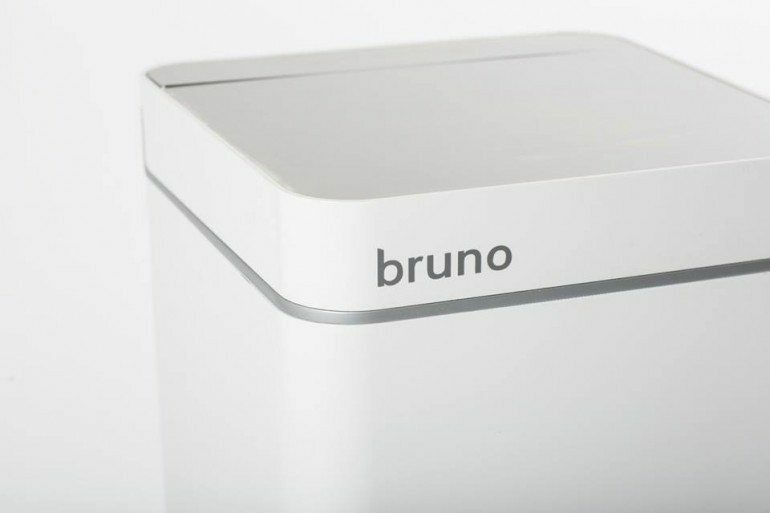 Not only is it connected via an app, Bruno also has a sensor to instantly vacuum up anything you sweep straight into the bag. 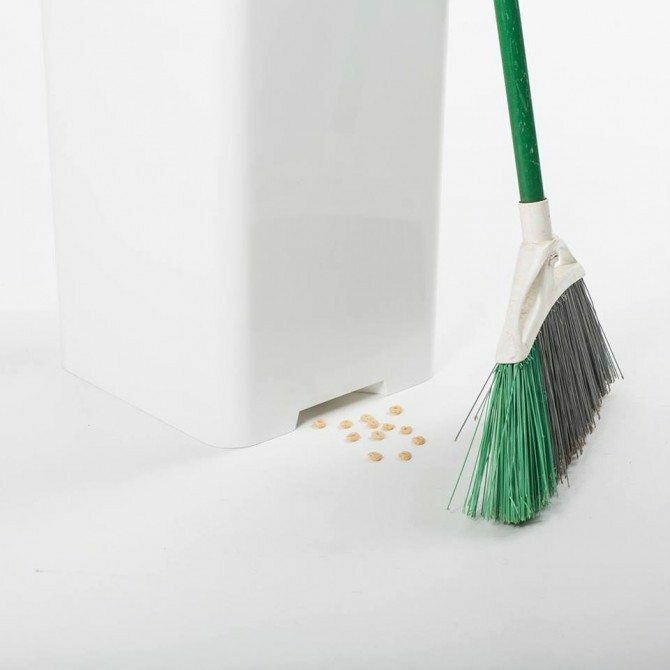 Yes – a trashcan that automatically puts all the dust into the bin. No more bending down and using a dustpan and broom to get all the stray dog hair: Bruno’s got you covered. Bruno works quite simply. Firstly, by being connected to the app you can set alerts to take out the bin on garbage day and also when you need to replenish your bin bags (as they sit in a handy pocket inside). It can be used like a normal bin, but allows you to just sweep together all the dirt on your floors and push it in front of the vortex vacuum at the bottom. Bruno does the rest of the work by sucking everything up and depositing it into the bag inside. 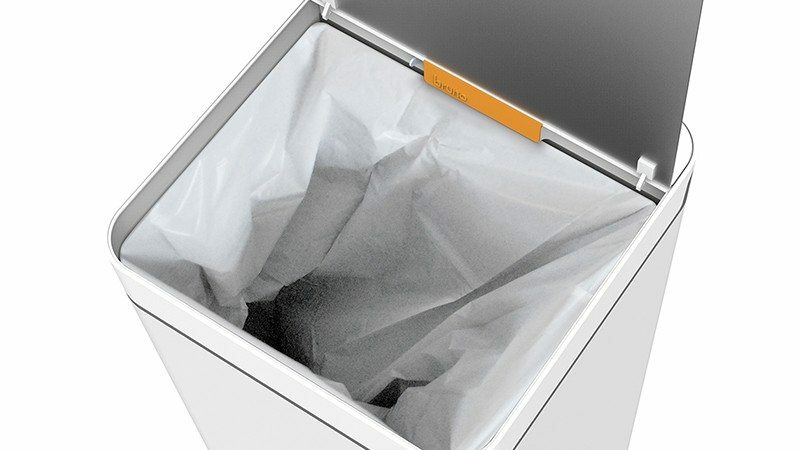 Bruno’s sleek design also solves the problem of an unsightly bin. Coming in white, red, blue, grey, and stainless, Bruno also opens with motion activation. This means you can throw away everything messy without leaving the grime on the stainless steal lid. Bruno is a standard size bin coming in at 13.5” wide, 13.5” long, and 29.5” tall. Although you can purchase Bruno’s own fairly priced bin bags, you can use any 13-gallon bags. Additionally, Bruno comes with a rechargeable 18-volt battery. 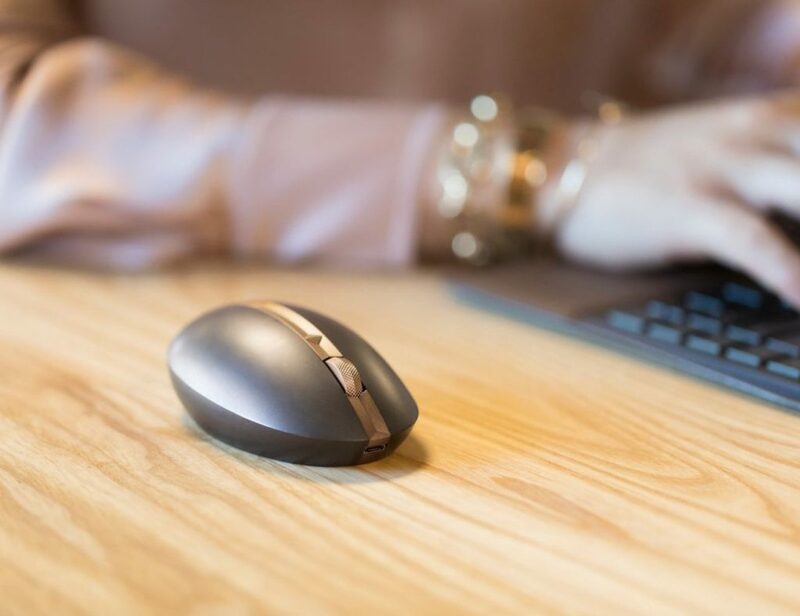 It’s easily recharged with the retractable power cable and will give you a month’s use in just a single charge. Bruno Smartcan nullifies all of the challenges with present trashcans: you don’t need to bend over to pick up dirt and dust, it fits in with your décor, you’ll never forget to replace the bag nor will you run out, and you’ll never forget to take out a smelly bag on garbage day. 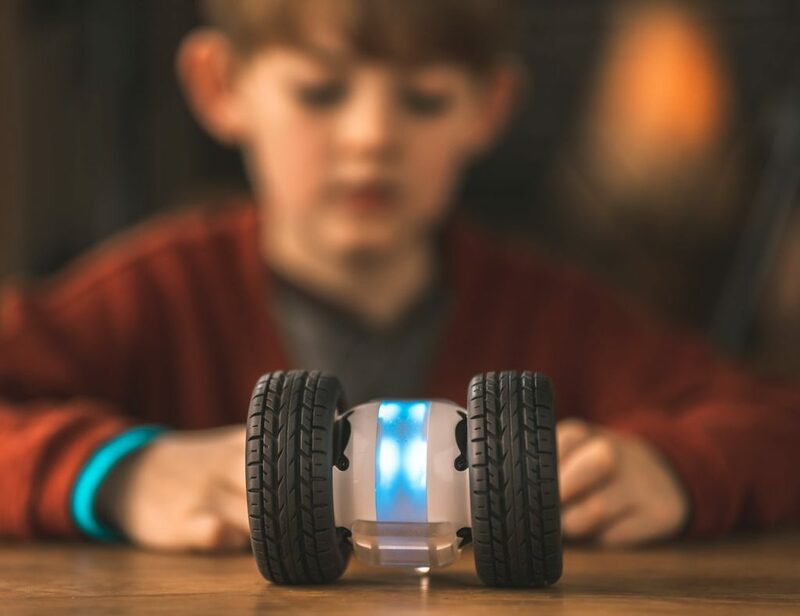 Bruno is currently available for pre-order at $59.99 a month for three months and will be delivered in October. With over $100k raised on their Kickstarter campaign, I suspect Bruno will be welcomed with open arms in many homes.